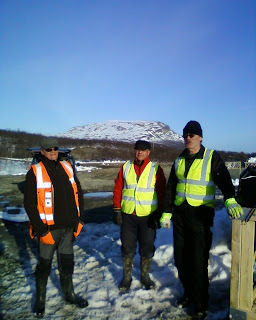 In addition to the author and the local contractors, here are the other members of the SGO team who completed the site testing, demolition and clearing work during May 2011. Pertti Ylitalo, Toivo Iinatti and Markku Postila. Saana mountain is in the background.